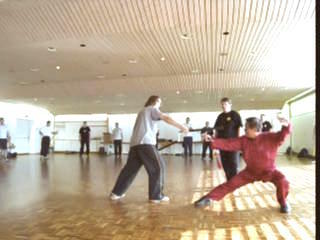 When working out counters to handle various combat situations, the course participants discover some important principles of good swordsmanship. 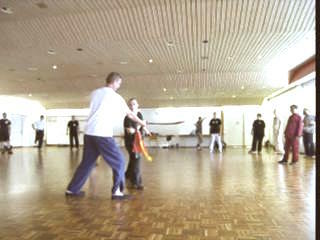 One important principle is to flow with the opponent's momentum. 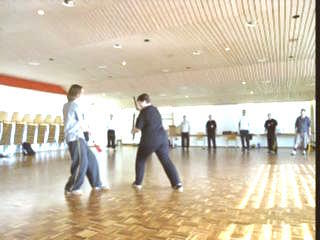 To achieve this, it is necessary to have agile footwork and picture-perfect form. 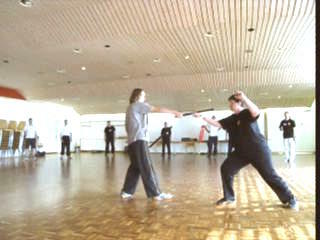 Agile Footwork and Picture-Perfect Form of the Traveling Dragon Sword from Wong Kiew Kit on Vimeo.